Please go back to the way it was before. Tall titlebars are only used in cases where they may contain buttons etc. 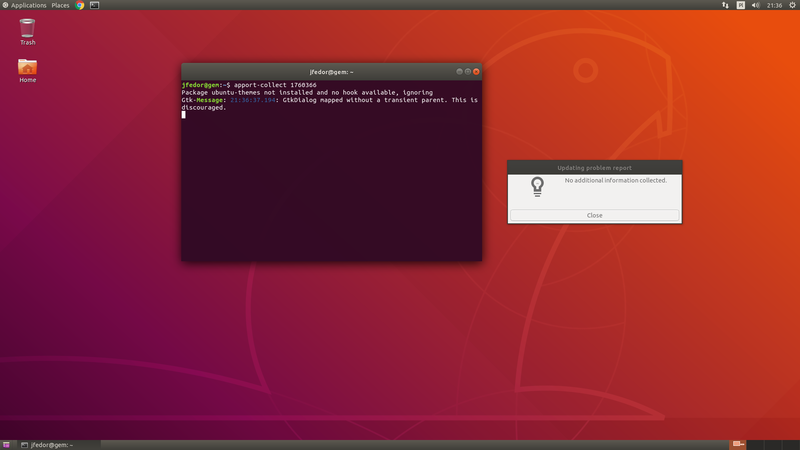 This is the design from upstream and we intend to keep it in Ubuntu. I don't think that is correct, the screenshot I attached is from the Terminal application, which doesn't have any additional UI in the titlebar. It wasn't this tall a week ago. 2. Attach a larger screenshot of the whole Terminal window. I should have mentioned that I'm using the "GNOME Flashback (Compiz)" desktop, sorry about that. I don't think the apport-collect command worked correctly, as you can see in the screenshot. I can see the bug in Wayland sessions now. Just not in Xorg sessions.